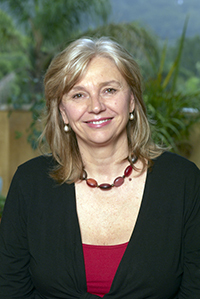 Dr Rosalba Courtney (DO, PhD) is an Osteopath with 35 years of experience. She also has a PhD in breathing. She consults and treats patients at the Breath and Body Clinic in Avalon and at Genbiome in Edgecliff. Her aim is to help people get out of pain, improve their long term health and quality of life by providing effective hands-on osteopathic treatment and by teaching her patients skills and strategies that will enable them to take active control of their health. These skills include breathing exercises, muscle and postural retraining and techniques for mindfulness and stress reduction. In her work as an osteopath and breathing therapist she believes that it is important to use the tools of modern science while not ignoring or devaluing the wisdom that lies in the accumulated knowledge and experience of generations past. Her interest in breathing therapy began in the early 1990s. She was one of the first Butyeko method practitioners to be trained outside of Russia. She trained practitioners and taught patients the Buteyko Method for several years and gradually began to study and include other breathing retraining methods in her work. In 2011, she completed a PhD at RMIT University on the topic of “Dysfunctional Breathing: Its Parameters, Measurement and Clinical Relevance” and has published over 15 peer reviewed articles and book chapters on this topic. Rosalba has presented at many national and international conferences, including the Thoracic Society of Australia and New Zealand, the International Society of Respiratory Psychophysiology Conference, the Asthma Foundation and many Osteopathic Conferences. She is actively involved as an adjunct professional fellow, mentoring osteopathic students research projects at Southern Cross University in Lismore. Rosalba is renowned for her ability to synthesis complex information from the scientific literature to extract its practical significance for the clinician. Rosalba teaches, researches and writes about the art and science of health and breathing therapy for a professional audience and for patients. She conducts training programs for Osteopaths, Physiotherapists, Dentists, Speech Therapists and other health professionals on Integrative Approaches to Assessing and Treating Dysfunctional Breathing. Dr Courtney has two Sydney clinic locations: Avalon and Edgecliff. Clinic details. To make an appointment to see Dr Courtney please visit the Bookings page. For enquiries about breathing therapy and other programs please call Dr Courtney on 02 9918 3460 or by email.